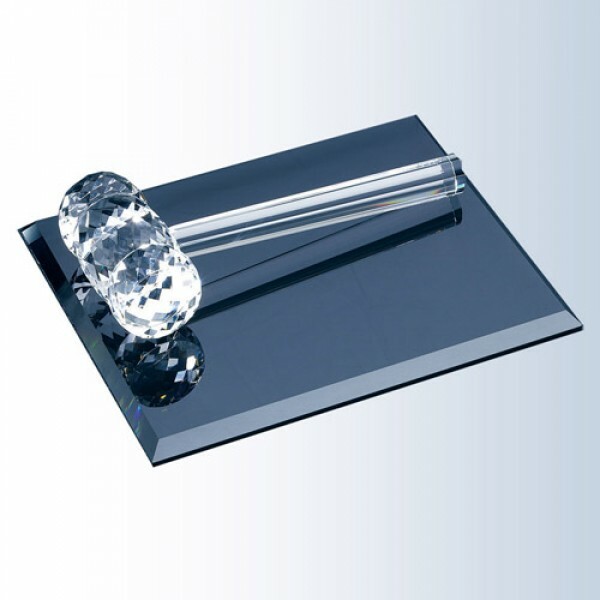 An exquisite optic crystal piece; numerous gem-cut edges refract light in the most magnificent way to honour anyone in the legal profession. Gift box included for gavel only; optional base bulk packed. H 1 3/4" x W 8 7/8" x D 3 1/4"